Premium SEO Pack gives you an array of features that packed into one plugin it provides you with minification of CSS and JS compression to help improve the page speed of your website. Used by thousands of paying customers with the average rating of just over 4 out of 5 it’s a plugin worth a look at. 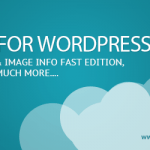 It comes up with on page optimization which you can not edit individually or with the mass optimization component you’re able to bulk optimize your WordPress posts and pages. As with squirrel SEO you get a SERP tracking and competitive analysis tool to track your position and performance. XML sitemap can be generated automatically in which you can then submit that the major search engines for all your web pages get found. Pulling your traffic stats from Google Analytics so you can see what’s happening on your website without having to leave your WordPress dashboard. No one likes 404 pages your users don’t and search bots doesn’t with Premium Pack SEO you can monitor and redirect users to the most relevant pages in which there was a 404 error. Premium SEO Pack also allows use to bulk submit your website to different directories I wouldn’t recommend it as it’s an outdated tactic, but you’re more than welcome to use it. You can also keep track of your social network size and growth rate. The link builder tool is integrated and can help interlink your content and a mass scale perfects those with a lot of pages. Alt tag optimization is also included to give your website SEO friendly images to bring in extra traffic from the search engines. With the 301 redirect module, you can easily with redirect any pages internally or out of your website. 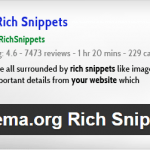 Rich snippets integration to help give you more exposure within the search listing. A video sitemap can also be generated excellence evolve with a heavy video base website. Local SEO is also integrated to help inside your business on the map.